The historical Robinson-Pavey Home completed its journey on Monday morning and arrived at its final spot on State Route 41 in Washington Court House. Stay with the Record-Herald this week for an update on the project. 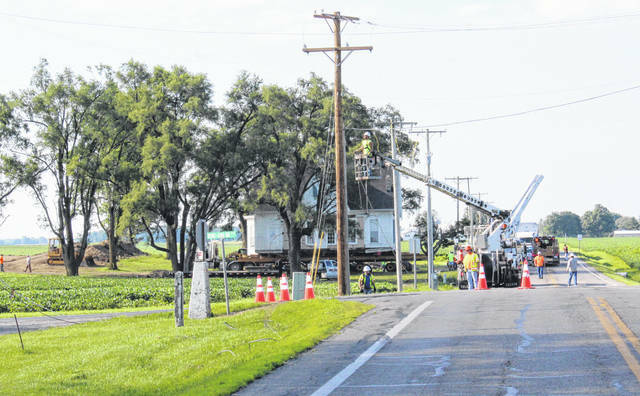 https://www.recordherald.com/wp-content/uploads/sites/27/2018/07/web1_IMG_3392Edit.jpgThe historical Robinson-Pavey Home completed its journey on Monday morning and arrived at its final spot on State Route 41 in Washington Court House. Stay with the Record-Herald this week for an update on the project.